Wednesday, Oct. 14, 2015, 4 – 5:30 p.m. 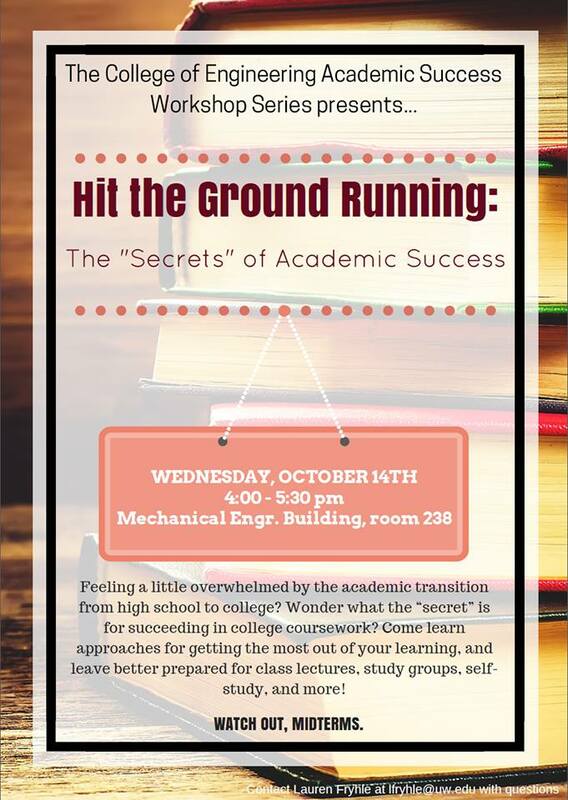 Feeling a little overwhelmed by the academic transition from high school to college? Wonder what the "secret" is for succeeding in college coursework? Come learn approaches for getting the most out of your learning, and leave better prepared for class lectures, study groups, self-study, and more! Questions? Contact Lauren Fryhle at lfryhle@uw.edu.